As a photographic technique, double exposure (or multiple exposures) have existed since the camera was first invented. But what was once old is new again, and this style has grown in popularity in the recent years. Here, two photos seamlessly compose one image, with elements of both visible in the composition. 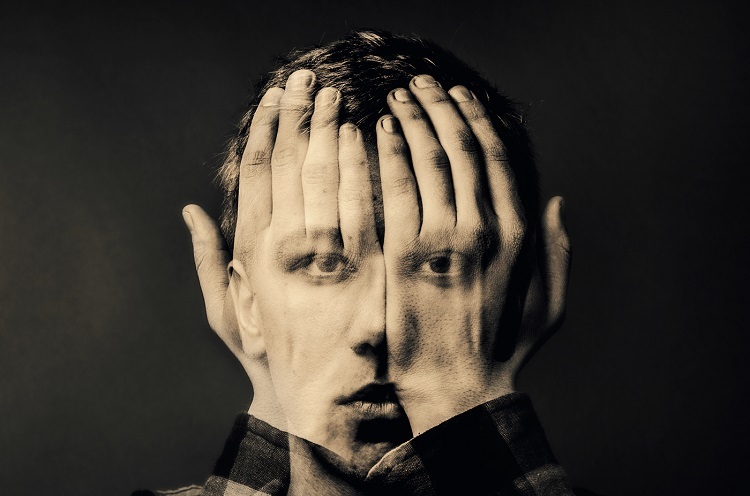 The combination of multiple photos can have a striking effect on the overall composition of an image, and photographers utilize the technique to create surreal imagery that is often used in storytelling or fine art. In this article, we will feature 10 photographers that have created enigmatic works using double exposure techniques. 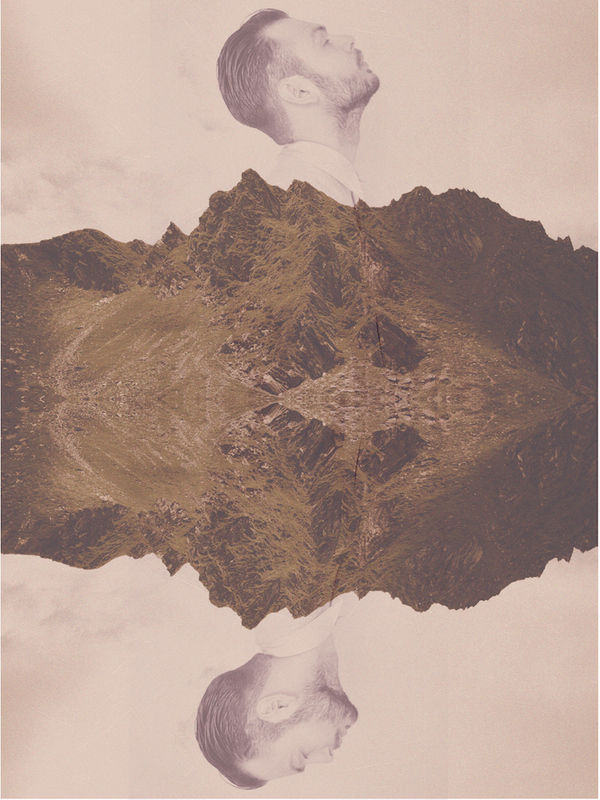 Captivated by the double exposure effect, graphic designer Muhammed Faread sees it as a form of poetry. Here, large, straightforward portraits contain a smaller figure—perhaps an inner self—who interacts with this interior landscape and expresses feelings of hope and joy. 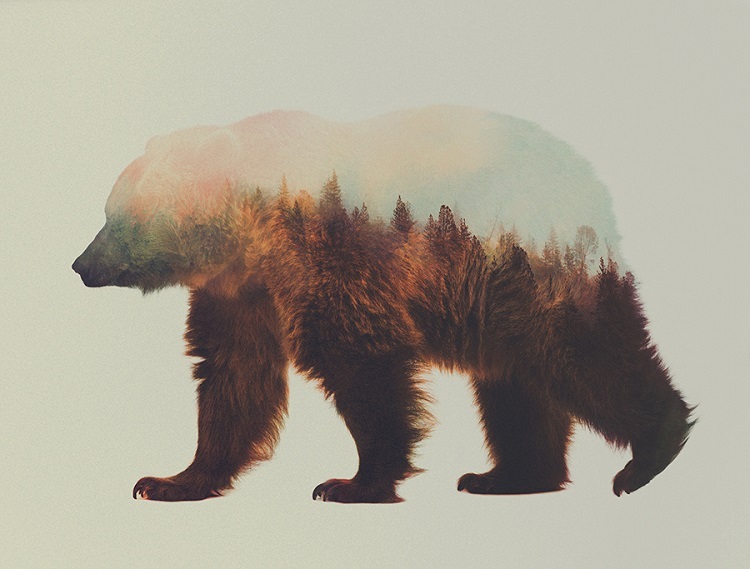 Andreas Lie uses double exposure landscapes to add unexpected texture to the bodies of animals, inspiring a sense of adventure and travel. Snow-covered mountains and lush forests become the fur of these creatures, but in a subtle way that seamlessly combines the two disparate elements—often, it takes more than a passing glance to notice these dreamy locales, but when you do, the idyllic settings will make you want to pack your bags. 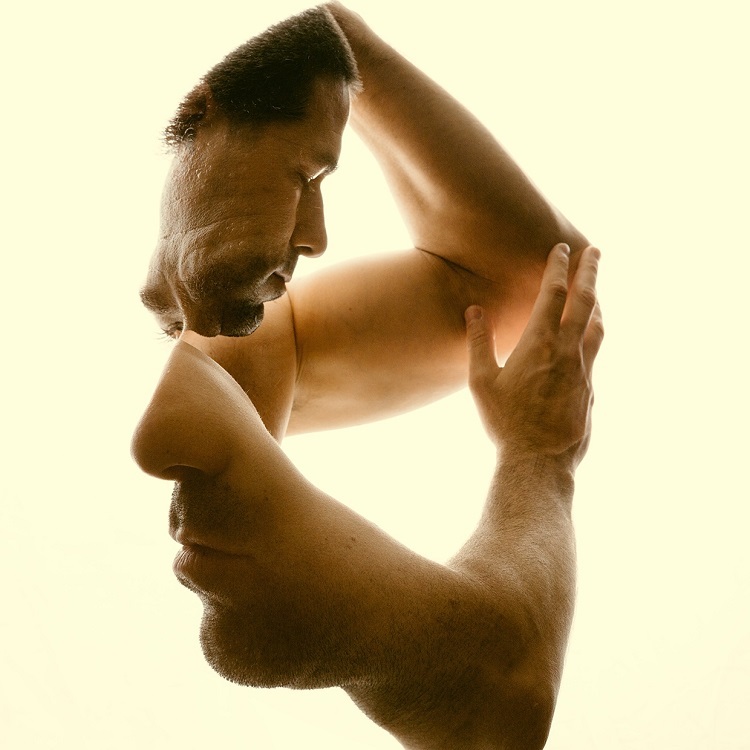 Photographer Brandon Kidwell experiments with the human form using the double exposure technique. The minimalist portraiture is composed of other people’s body parts, which are situated in ways that abstract the overall shape of the face. A nose and mouth seamlessly transform into a forearm, and a forehead gradually becomes another man’s face. At times, this is visually confusing, but in a way that makes you yearn to see and understand more. While many photographers choose to enact the double exposure technique on the computer, Dan Mountford takes the old-school approach. “The images shown were all created ‘in camera’,” he explained. There was some post production work afterwards to change the tone of the photos, remove odd blemishes, and the addition of vector graphics. 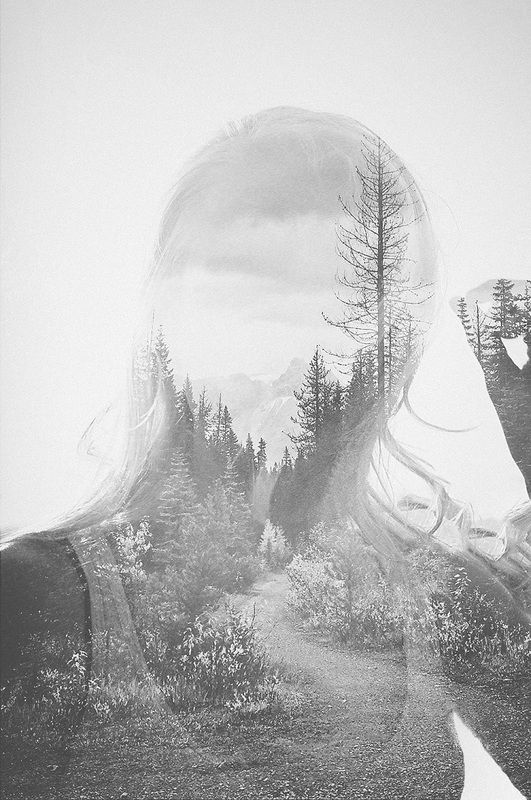 Like Dan Mountford, Martin Dietrich creates his double exposures in camera. 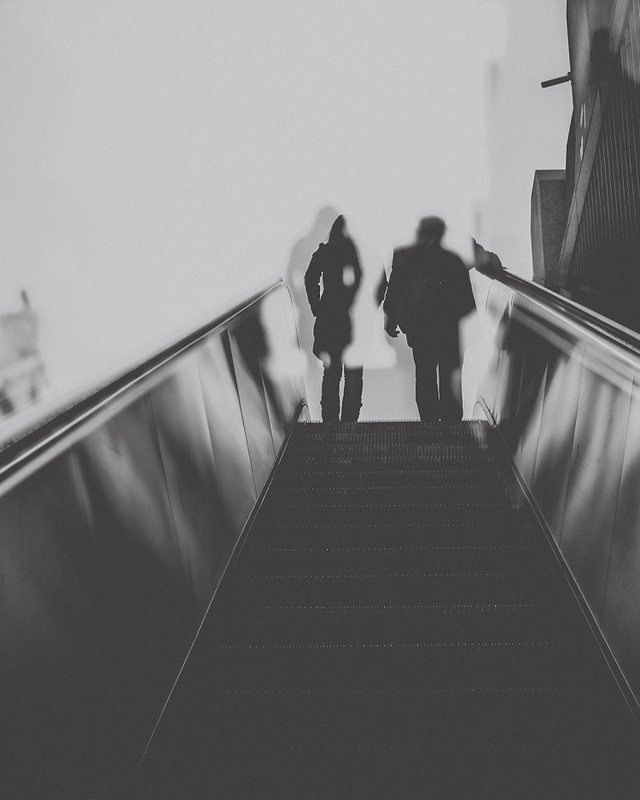 He shot this series, The Ghosts That Carried Us Away in Frankfurt, Germany, capturing people as they rode up a long escalator. Here, the double exposure effect is subtle but alluring, conveying the feeling of trying to remember a now-foggy memory. Photographer Andrés Gallardo Albajar demonstrates an inner turmoil in his sepia-toned image. It communicates the conflicting feelings of wanting to know, versus not wanting to know. This photo highlights the power of double exposure—it creates multifaceted compositions that showcase nuanced emotions in a way that mimics fine art rather than pure documentation. 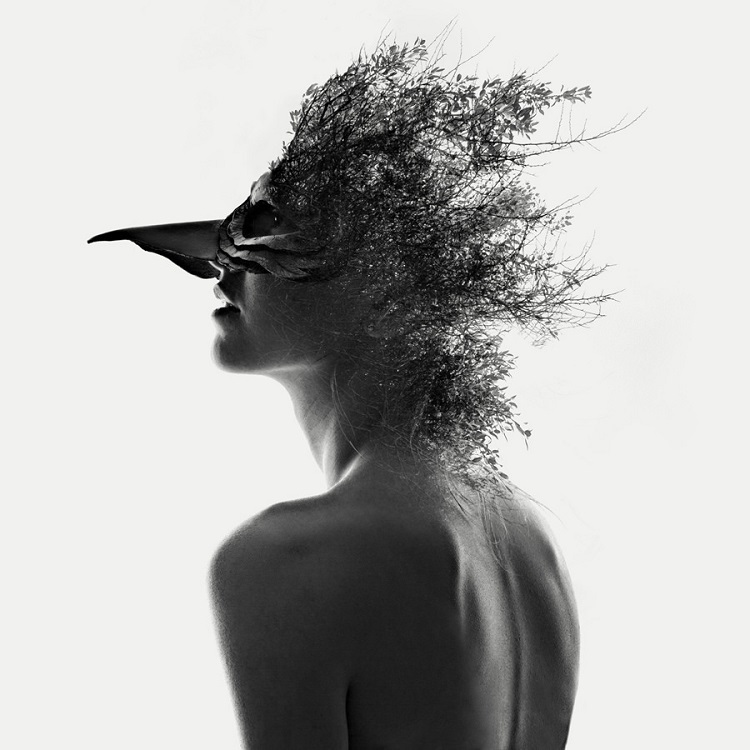 Photographer Laurence Winram documents all things strange and surreal. Here, he’s used double exposure to create a curious costume out of well-placed twigs and leaves. His visual ingenuity produces an unusual outfit that exists only through the power of photography. 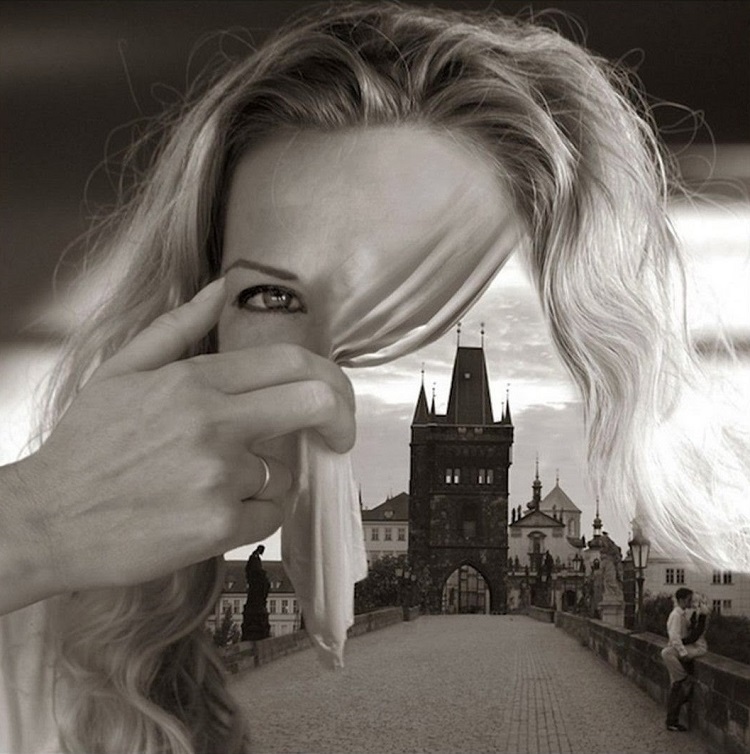 While many double exposure photographs combine landscapes with human portraiture, Thomas Barbey has a maximalist aesthetic that shows an entire world hidden behind the curtain of a face. It signifies that beneath our skin is not organs, but the memories and experiences we’ve had. 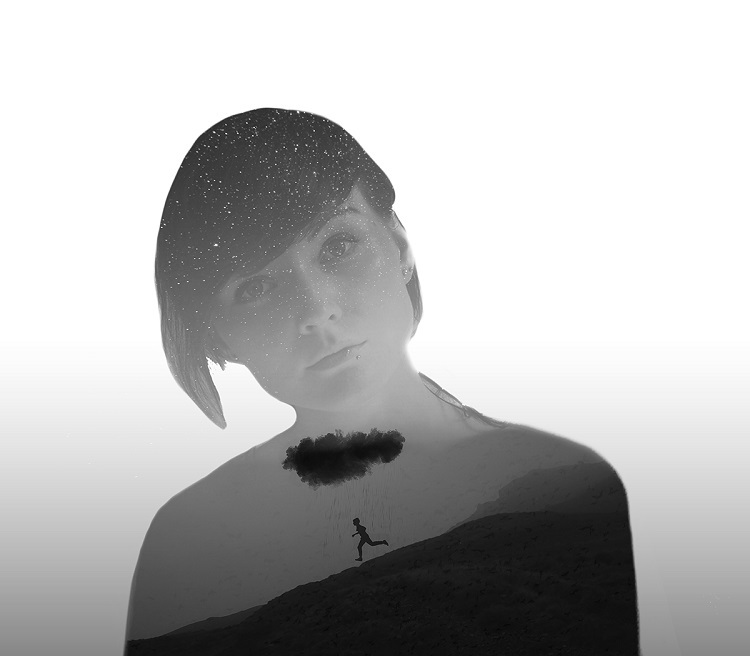 Sergiu Mara uses double exposure in a solid, less ethereal way than other photographers. For him, compositional elements are juxtaposed with little transparency between the disparate images. 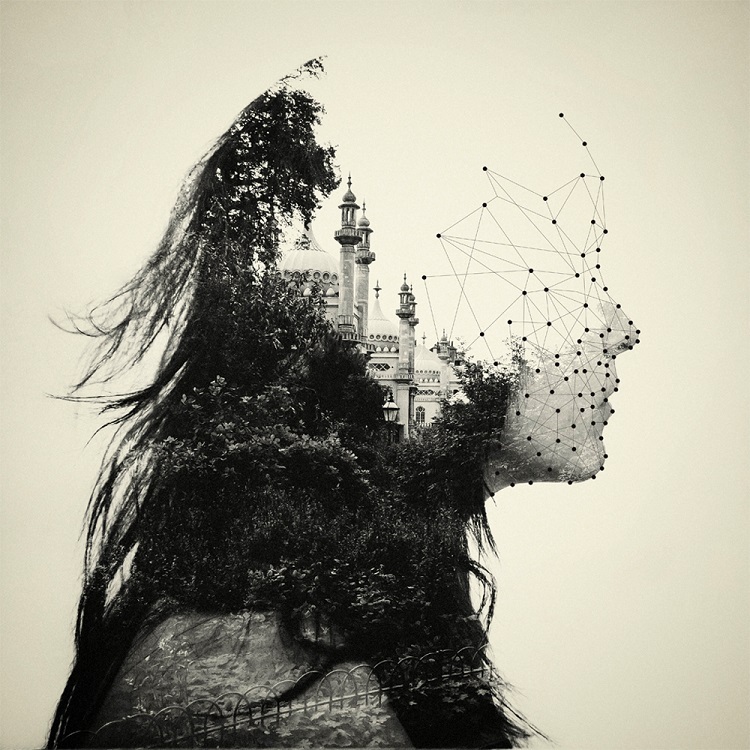 The result is an image with a design-focused feel, where pattern is prioritized above dreamy, romantic concepts like so many other double exposure photos.